Description Same as 18b; scanned as B & W. Tape at bottom and pinhole at top. 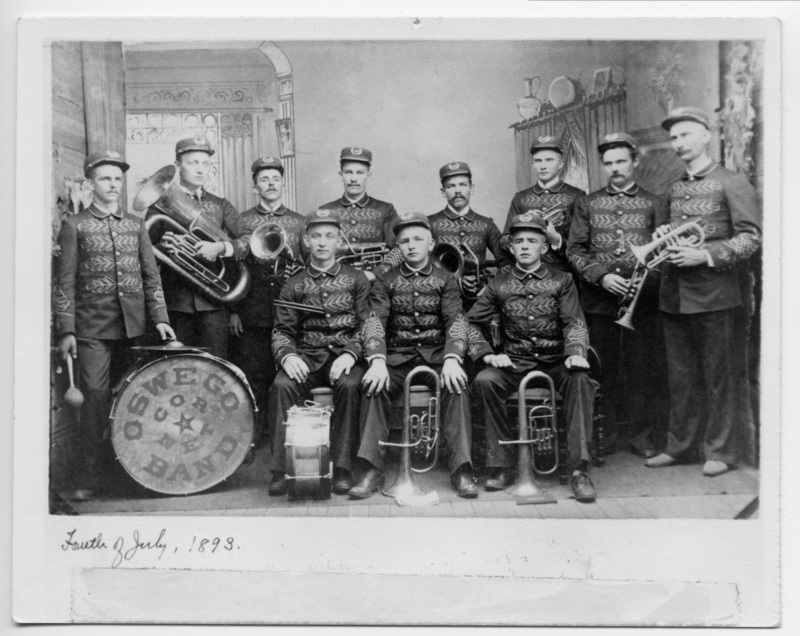 Notes on front: Fourth of July, 1893; words on drum: OSWEGO BAND CORNET; R. Worthington stands for Rollie Worthington; possible female marionette in Victoria dress upper right hand corner. Negative with photo.